Jim's Eclectic World: Bozeman bound! Before the end of this year, I will be a resident of Bozeman, MT, our final landing place in our long-anticipated move to the Greater Yellowstone area. For quite some time, those of you who have followed me know that after working four (and then five summers) in Yellowstone during the 1990s, I began a Yellowstone-themed Web site in 1997 first called "Jim Macdonald's Yellowstone Home Page", then "The Yellowstoning Experience", and finally The Magic of Yellowstone where I've been for several sporadic years. In that time, I've been married, divorced, involved with a new partner, and finally on October 6 of this year, become a parent. In the muddle, I became heavily involved with anti-war and anti-authoritarian activism in the Washington, DC, area where I have lived since 2000. For the past year, even prior to my partner's pregnancy, I've been obsessed with the idea of returning to Yellowstone. That process began in May 2005 when I took my first visit to Yellowstone since 1998 (despite years of devotion online) and then a hiker/biker trip in August/September 2006 (with a brief excursion in July during a work meeting in Big Sky). By the end of that trip, I was determined more than ever to make the move sooner rather than later. Genevieve and I planned on moving as soon as June of this past year, but when we found out in Miami in late January 2007 (visiting to see a housemate run in the marathon) that we were going to have a child, our plans were quickly pushed back. Now, finally, I'm coming to live, work, and inhabit the place that always calls me home. I had originally planned for that place to be Jackson, Wyoming. I was attracted by the proximity to the Tetons as well as the various social issues facing that area that go well beyond environmental concerns. Jackson is a place of ridiculously rich people living in an area serviced by relatively poor people many of whom cannot afford to live in town. Views of the mountains are mostly taken by the few and protected under the guise of "going green" and environmentalism. It is a tourist trap that has long ago lost its charm, if it ever had any. I felt it was the perfect place to raise my voice. As it turned out, I had great trouble finding a place in Jackson, not so much due to lack of funds but rather due to the fact that we had a cat. We knew we could never own a place in Jackson, but we felt that with Genevieve's nursing career combined with the work I'm continuing to do for the nonprofit I work for in DC that we'd find a place. Our cat, Dewey, is very special to me, and I was not going to part with him just to live in Jackson. Yet, I must admit that the lack of available space for people who wanted to work in Jackson - being told that Victor, ID was where most workers in Jackson end up - made me want to go there all the more. In the end, that was not to be. So, we quickly gazed in Bozeman's direction, in large part because of the professional opportunities for Genevieve, who is a registered nurse. We thought about Cody, but the hospital there was too small for Genevieve to feel confident that she could grow as a nurse (at least at this time). In the end, Bozeman was available, and there of course is plenty of upside for me living near a university, being that much closer to the historical archives in Gardiner, that much closer to grassroots groups like Buffalo Field Campaign. It means that we might drive into Yellowstone this winter, though the baby and work may have something to say about that. We found a neat place right in town, cheaper than anything we could have ever hoped for in Washington, DC. I'll be there with any luck just before Christmas. There, I'll have to figure out the next steps. The first thing I want to do is learn all about Bozeman, about the people, about what goes on there. What is there to plug into? I have no pre-existing notion of what I can do there except that I know I want to research and write a book about workers and about people's struggles in Yellowstone. Beyond that, I would like to connect what I do in Bozeman to my previous struggles in DC with anti-war and anti-authoritarian struggles. But, most of all, I want to find a community and help with community concerns. That will take time as I learn about a place and listen. There's nothing right now for an outsider like me to offer except experience and perspectives from where I come. It will be exciting to know how I can plug into the grassroots. In any event, this is a very exciting time. A new child, a new place to go, a whole new set of possibilities ... no longer being the loving eye from beyond, but now finding what I've always been looking for - a home. My entire life I've moved and moved and moved. I have never lived in one home for more than 5 1/2 years, and that ended when I was 10-years-old. I have always been the outsider, and it won't help me to go to a region suspicious of outsiders (especially from the East). Yet, it's exciting, this challenge of integrating being a loving partner, a father, with the writer and the activist, now inhabiting the greatest true love of my life. I once found home in Yellowstone, specifically in Grant Village; I'm hopeful to find it here. I'm heading to Bozeman, which means for me the magical land of Yellowstone. It's impossible to know just how rich and new and unexpected it will be; all I know is that I can't wait. Hi Jim, that's awesome news that you will be moving to a place closer to one of your passions, and so soon. 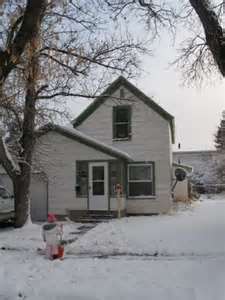 I will have been in Bozeman 4 years this coming January 1st. It is where i found a major I enjoy, my wife, and our now-20-month-old-son. Please feel free to contact me when you are all settled! I would definitely like to contact you when we're settled down. Besides wanting to contact you since you've been kind to me, you're otherwise just the sort of person I'd like to contact. It's great that Bozeman has been so special for you. I must admit to high expectations hoping for the same thing. Jim, a dream come true for you. I wish you and your little herd much happiness. A Wonderland? Or the Infernal Regions? Look me up when you're in Gardiner. It'd be nice to meet you. And, Mike, I definitely want to meet you when we come to Gardiner - to talk about cell phone towers and other things, even the notion you've shared of Yellowstone as a kind of tabula rasa. Michael, I have what you wrote in pdf; it's on my reading list. I will definitely get to it soon. And, you know, "Me" would be the first to tell you that there is no contradiction between Wonderland and an infernal region. Tom Bremer read my paper, commented that it was an important yet lacked an overall analysis. If there is a no go with Yellowstone Science as is, he has offered to coauthor a second draft, he providing more of a religious analysis that I cannot. Of course, the center in Gardiner would be a treasure trove for you... Have you had the opportunity to meet Lee Whittlesey before? Where did you guys find a place in Bozeman (you can reply offlist for that one)?